A wonderful hand stitched pair of Pulkari boarders. Traditionally embroidered from the rural areas of Punjab including India and Pakistan. 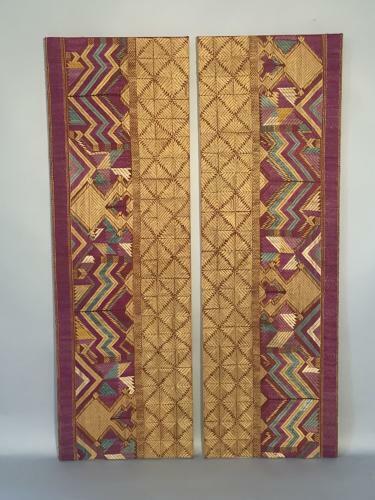 Vibrant purple, turquoise and gold yellow geometric stitching. Dating from early C20th. Please note dimension listed are for each panel.